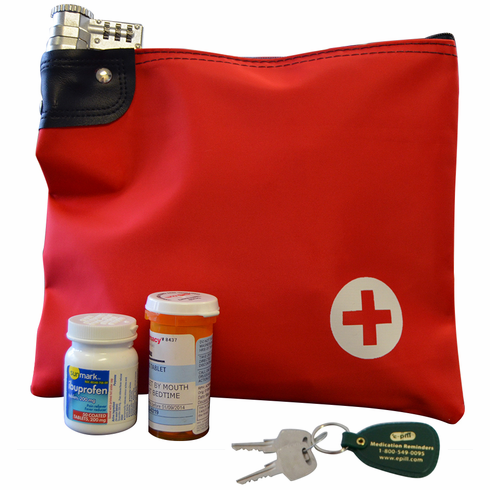 The e-pill Prescription Medicine Bag with Keyed Lock comes with 2 keys. This system provides a safe and secure way to take and travel with medications, and an excellent solution for medication management. Store and take your narcotic pain medications, insulin syringes, sleeping pills, rheumatoid cancer treatment medications, anxiety pills, anti-depressants and other prescriptions.